To see the future, we must first revisit the past and review the Xscapers overall mission. On July 22, 2014, the concept of Xscapers was officially put on paper and presented to the Escapees Board of Directors for approval. The proposal was approved and over three years have passed since the official launch of Xscapers on March 8, 2015. 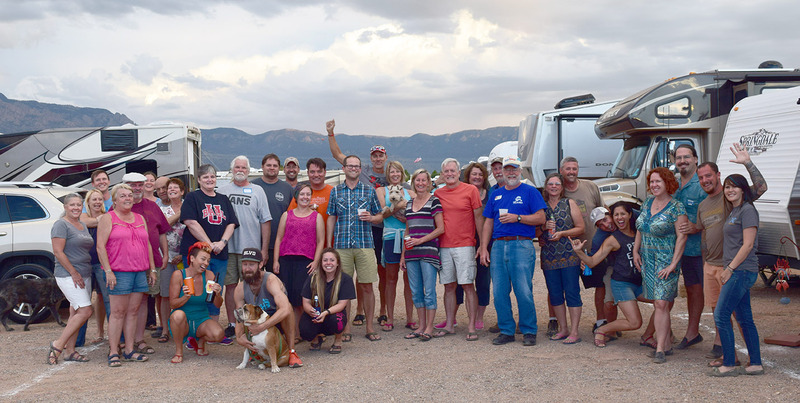 This community, within Escapees RV Club, was created for working-age RVers and currently is comprised of around 10,000 individuals who identify themselves as an Xscaper. Today, this group makes up 15 percent of club memberships! In all honesty, Xscapers was simply a refocus on Escapees original roots. In 1978, 40 percent of Escapees members were under age 50, the majority were still working, at least part-time, and nine of the first 100 member-families were traveling full-time with their kids. Looking back at our official strategy, specifically for Xscapers, we are happy to see we have accomplished many of the support services we set forth to create. One service is a website with job listings that caters to those seeking work outside of traditional work-camping jobs. Another service is online articles and education geared towards working and traveling on the road, tax complications, tips on traveling with children and inspirational profiles of RVers living the lifestyle are other resources we’ve provided. The strategy also targeted ways to bring the club in line with modern technology, and that directly inspired the online mapping tool and transformed the travel guide into an interactive online format. Most importantly, it pushed us to incorporate the RVers Boot Camp into an online university format, so it could be accessed at anytime from anywhere. This allowed us to take our education to a whole new level. Now, in addition to on-campus classes, those who can’t attend in person don’t have to miss out on crucial safety, maintenance and lifestyle information provided by the experts who teach our courses. By far, our greatest achievement and accomplished goal has been the building of a community. 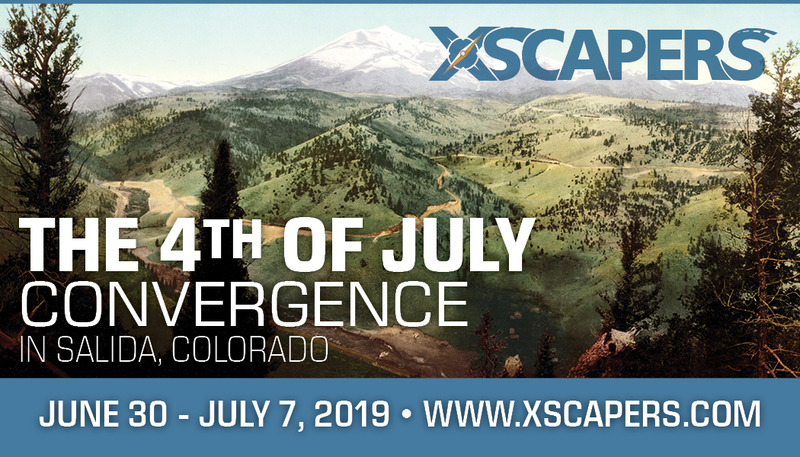 We knew bringing people together was important to the success of Xscapers, but we had no idea that our Convergence events would become such a crucial component of its story. We certainly never guessed that Xscapers would be a movement so impactful that 14 people would tattoo the logo on their bodies! It’s incredible to witness the amazing bond that has formed between this new family of like-minded individuals. This bond mirrors the unity and solidity of those who traveled the roads before us and eagerly participate in our success as well. It truly is the best of both worlds. So, where does this leave us as we look to the future? Our goal “to meet the needs of younger RVers by providing community, resources and benefits” still guides our way. While we have accomplished a lot over the past few years, we still have much work to do. Community remains at the top of our list. 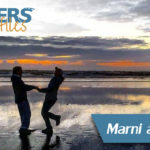 We continually look for additional ways to expand our Convergences to connect more like-minded RVers with one another. We can accomplish this by holding as many of these events as possible, but also by directly involving the community that makes this all possible. 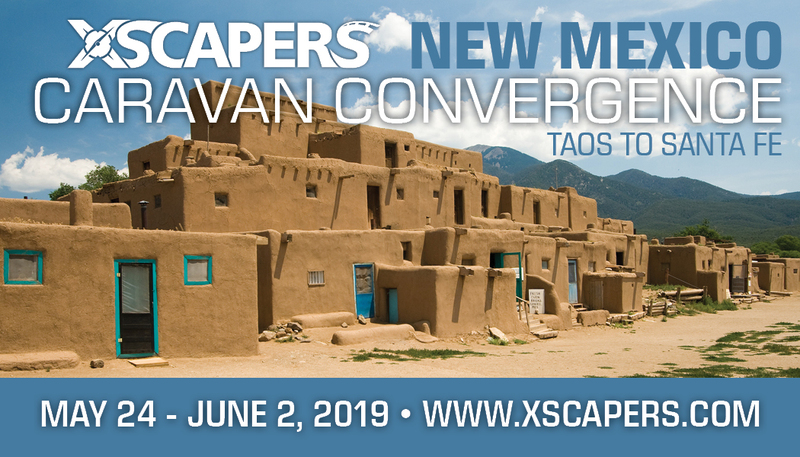 We are looking at ways to assist members of Xscapers to create additional unique and impromptu meet-ups and outings with their fellow RVers. We’re also brainstorming ideas on how to better meet the needs of the Xscapers demographics in Escapees programs like the BoF (Escapees special interest groups) and chapter programs. While in-person meets-ups are critical to the success of building friendships, we also want to explore ways we can improve these connections through online programs. 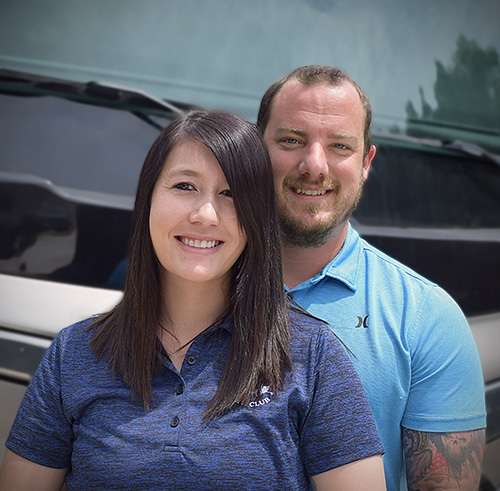 Another goal is to utilize the collective voice and knowledge of working nomads and Xscapers to interact with the RV industry to offer products and services that cater to the younger demographic that are working as they travel. This is something the industry has widely ignored until the past couple of years. We are excited to say we have made some headway. Last year, we began conversations with Winnebago Industries to find a better means to connect your experience directly to product designers and engineers, to create a product that better suits your RVing needs. Thanks to your involvement, it is a project we feel will inspire an impactful change as we progress with our relationship. Along the same line, the nomadic workforce continues to be underutilized. 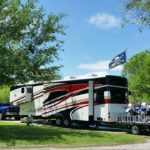 We feel companies are missing a wonderful opportunity to utilize these RVers and the unique advantages they bring to the table. We plan to focus more efforts on educating businesses and the industry at large to overcome cultural roadblocks, misjudgments and false assumptions in an attempt to provide more job opportunities that support your RV lifestyle. It is a major undertaking but one that we are passionate about. Finally, this past year we began to formulate new concepts with the idea of creating an Xscapers focused campground/home base. The SKP Co-Op parks and Escapees Parks still are an important support network that provides a place for members to call home and a way to connect with their peers. 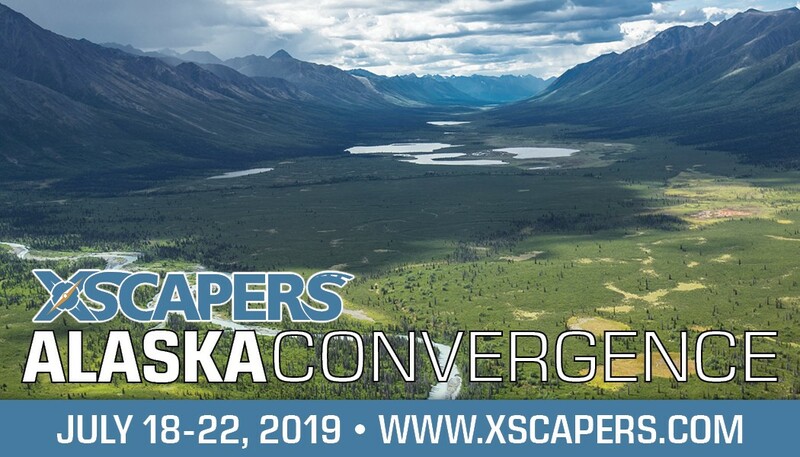 However, waitlists can be long and many Xscapers are looking for a more direct connection with their Xscapers tribe. The new park concept we are discussing would directly address this issue. Our aim would be to provide the Xscapers demographic a place to connect and become a part of a like-minded community for working nomads. There are many logistical details to work out before the project is formally approved and details can be shared, but it is a project we plan to see become reality. It has been an exciting time over the past three years, and we look forward to what’s to come. We will always do our best to lead the way in education, support and provide a community to suit your needs. We promise to always maintain true to our values and hold fast to the passion that allowed Xscapers to take shape and grow strong. We know you’ll keep making friends and support one another, and we will stay focused on our mission! And, know that we are always here to listen and support you in your RV journey. Glad to hear more parks are in the works… waited over 2 years for our spot in Washington, worth every minute. The Xscapers Park is a wonderful idea. Thanks for your hard work towards making this environment happen. Fantastic post! I am definitely hooked and can’t wait for more Xscapers in my life! Thanks Travis & Melanie and everyone else who works so hard to bring us all these great resources! Meeting the Xscapers totally changed my perspective of my own life on the road. Can’t wait to see what else is in the works!